Prostate Support from VitaCost, one of the largest supplement retailers, is a prostate supplement that is available in their retail locations nationwide and online. As you may be coming aware, just because a product is sold in a store, doesn’t necessarily mean it is any good. Prostate Support fits that bill. 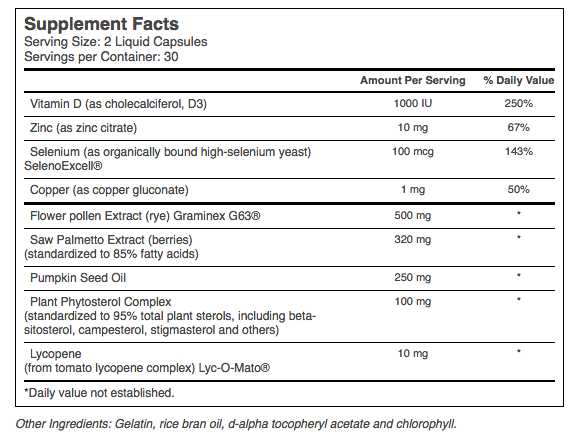 The lab results showed each serving contains a decent 106mg of total sterols! This formula is probably the best one that has the Vitacost label on it. The downside is that this product costs about $20 for this product. If you want to improve your prostate health, then there's not much reason to buy this product based on this lab result. There are better products available.